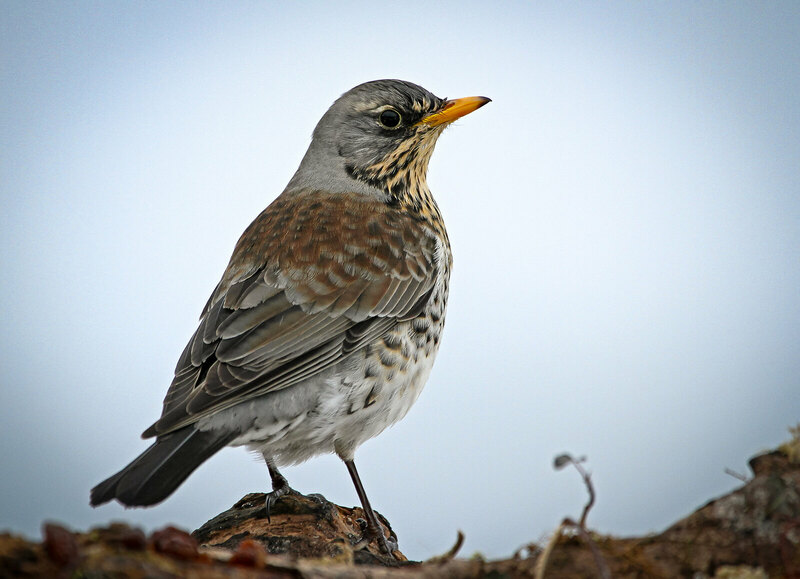 Fieldfare on a dull day. Lovely photo of a beautiful bird.. We have only ever seen one of those in the garden. Not seen too many round here this winter. Thanks Phil, quite a lot around Leicestershire at the moment. Great photo Mick , used to see them along with Redwing hopping around the fields years ago ,but they are now scarce enough around this area .The redwing came into the garden a few years ago picking at the apples thrown out for the blackbirds in heavey snow ,stayed a few days then flew off not seen them since . This year has been the lowest bird count I have ever had on my feeders, strange.